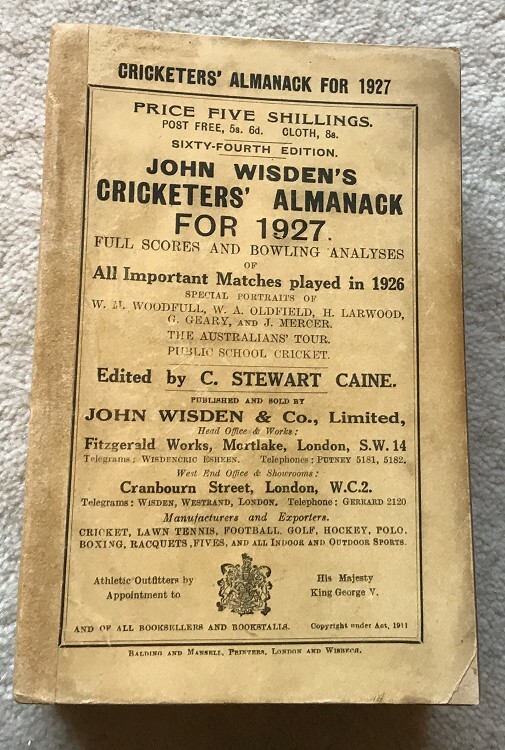 This lot is an 1927 Wisden Paperback with a facsimile spine that has recent been added. This book is in Good to Very Good condition. The spine is of excellent condition and mimics that of a paperback (just a bit newer) , hence it is tightly bound. The covers are excellent, nice and clean just some wear at the edges, the rear cover has had touch ups to the outer edge, internally excellent, clean pages and nice photoplate. Slight darkness to the page block.